It has been established that playing first-team football in the lower leagues develops a player faster than spending time as a substitute playing a bit part in a squad. Harry Kane, Dele Alli, Jesse Lingard, Kyle Walker, Harry Maguire and many, many more players all gained their first-hand experience from the Football League or had loan spells away from the Premier League. Without doubt, this made them better players than they would have been without being given this opportunity. This season, Manchester United sent out nine of their players out on loan for a chance to prove themselves worthy of playing for the club. The nine players are out in several divisions ranging from League Two to the Scottish Premiership and even in the Premier League. 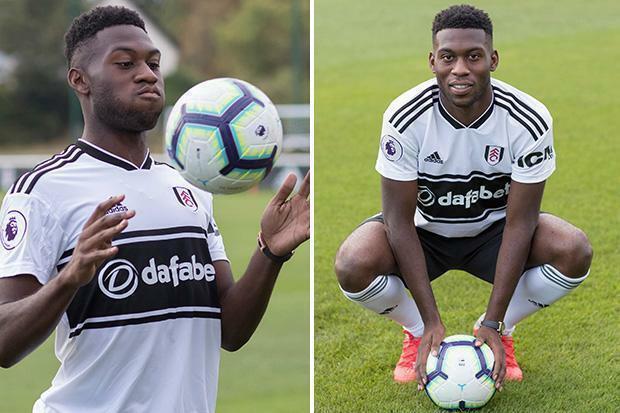 For a player like Timothy Fosu-Mensah, who is on loan at Premier League club Fulham, this spell is a chance to prove to the Old Trafford faithful that he is worthy of a place in the first-team. The Manchester United defender, joined the Londoners on a season-long loan spell last summer. His appearance in the Red Devil’s pre-season campaign gave fans hope that he might finally be given a shot in the first-team, but soon Jose Mourinho took the decision to ship him off to the Premier League newcomers for the 2018-19 campaign to further boost his development. The 20-year-old also spent the previous season out on loan at Crystal Palace, where he played 24 games across all competitions. He had a good time in his first few weeks at the club, dishing out some solid performances which earned him a call up to the Netherlands squad for games against Peru and France during the international break. But when Fulham stuttered, his reputation also fell with them and just a few short weeks later, he suffered a dislocated shoulder against Everton. Although he recovered quickly, he has had a tough time at Fulham, The Cottagers losing seven games consecutively across all competitions. The Red’s only Premier League loanee is still a long way off from convincing Jose Mourinho of his capability for the United first team but with a new manager at Fulham, he could improve his game if he’s given the chance.